Our spotlight is of London-based Nigerian designer, Lolu his eponymously named brand. LOLU specializes in designing top of the line clothing and accessories for the refined man including blazers, shirts, shoes, belts, sunglasses, ties and a lot more. 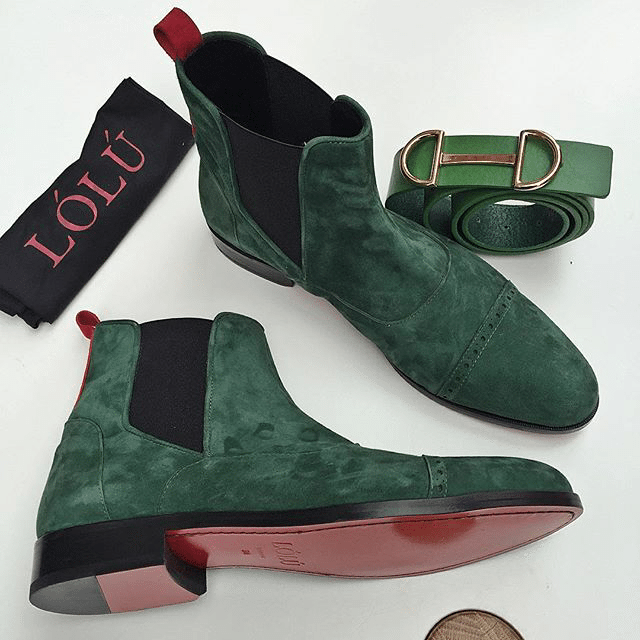 In the designer’s own words “LOLU is a fashion and lifestyle brand for men and women of discernment and class.” The brand’s affinity for rich fabrics and textures is apparent in their designs as leather, velvets and silk textures are the choice materials for most of its products. We love when a designer takes pride and owns his/her work. The super stylish designer does just that as he religiously models his products and does it so well – see gallery above!